Virgin Media rolls out TiVo update for Spotify and BBC iPlayer | What Hi-Fi? We had a letter in the post this morning from Virgin Media, announcing a glut of new features for TiVo customers in the UK, set to roll out over the next few days. Some of TiVo's major draws are apps like BBC iPlayer and YouTube, but these were due an overhaul. iPlayer is now better integrated so that you can browse on-demand catch-up content in the same TV Guide, menus and search functions as regular TV. And along with a makeover for the YouTube app, there's also HD video support. Other new features include text entry via your remote's numberpad, as on mobiles, skippable playlists in Music on Demand and the promise of Spotify Premium on Virgin Media by the end of this month. 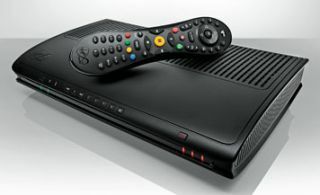 For now, the system upgrade will be rolled out across the country from today until 24 November – the advice is to keep your TiVo box switched on or on standby at 2am for the next few nights just in case, as the upgrade takes about 60 minutes.